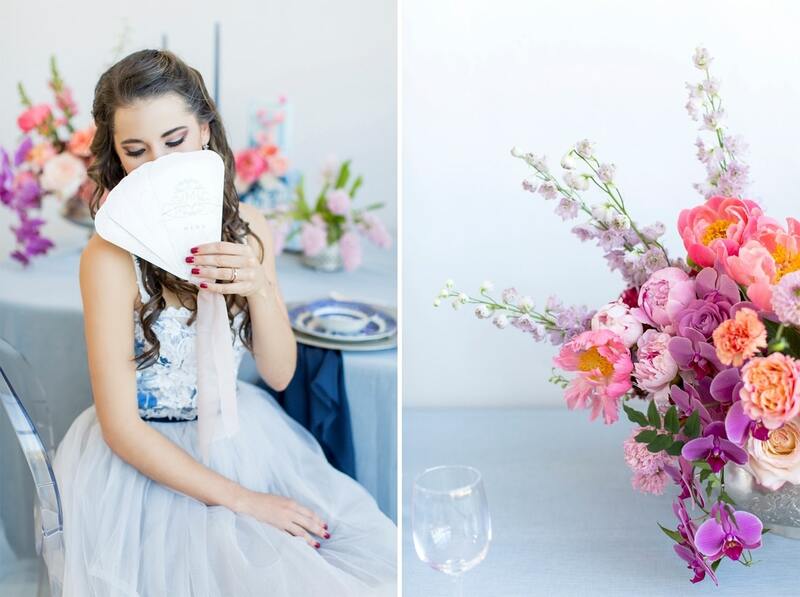 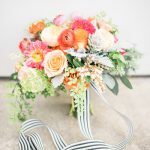 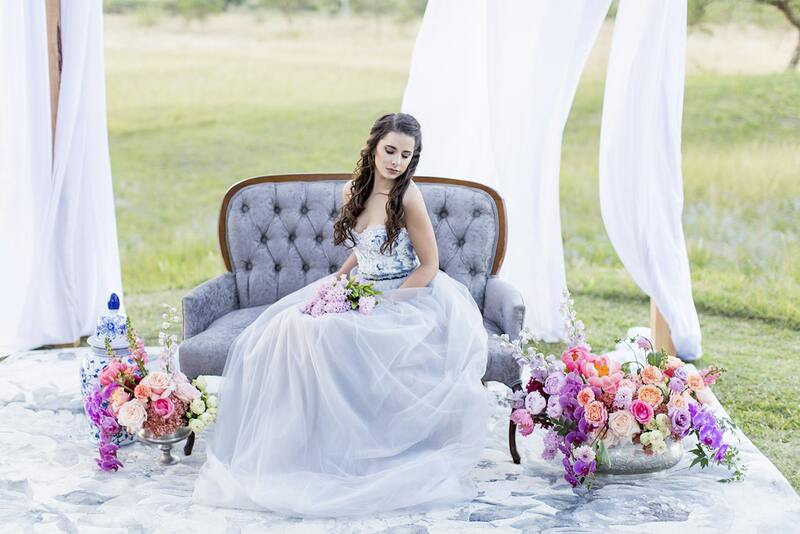 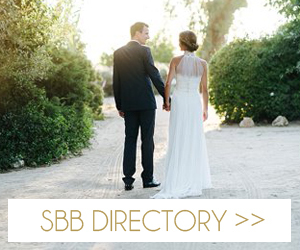 Our inspiration was creating a modern spin on an old fashioned theme and a look that was modern yet soft and romantic, with just a touch of vintage. 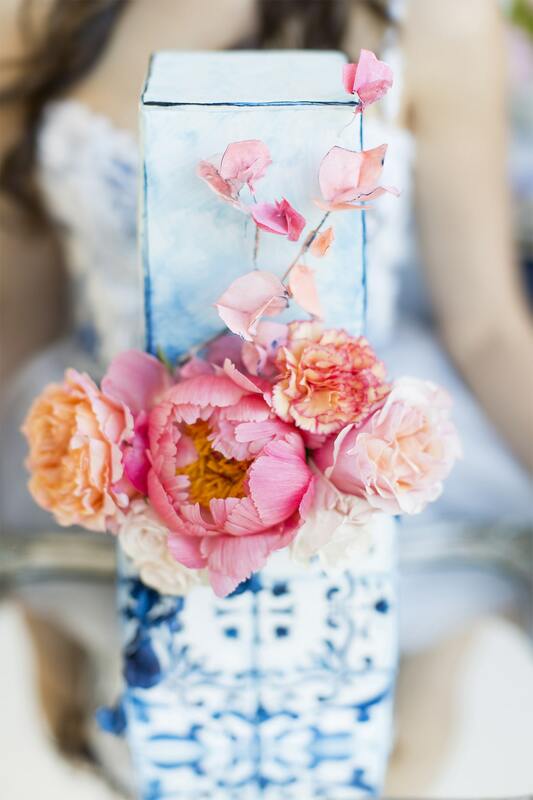 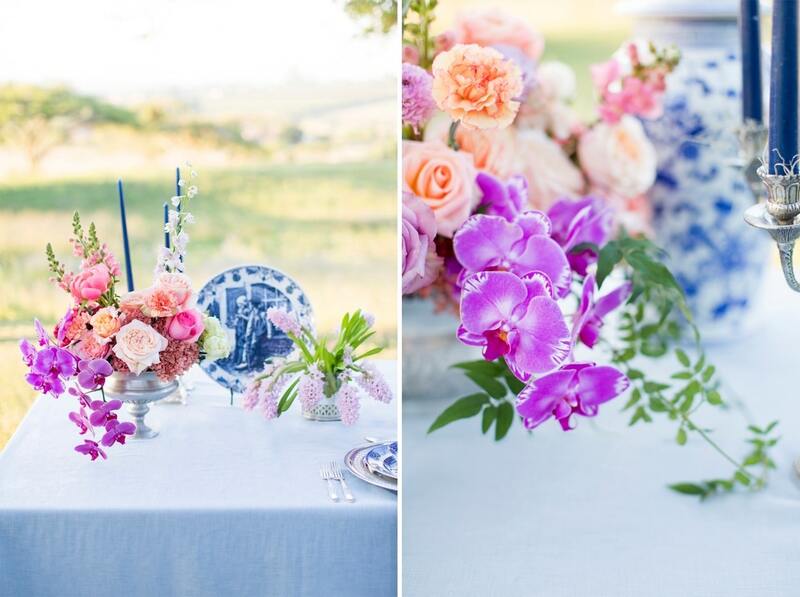 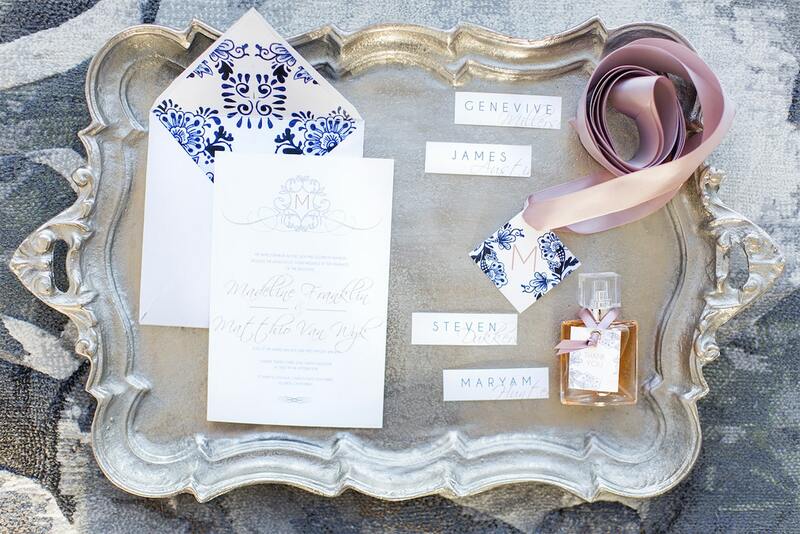 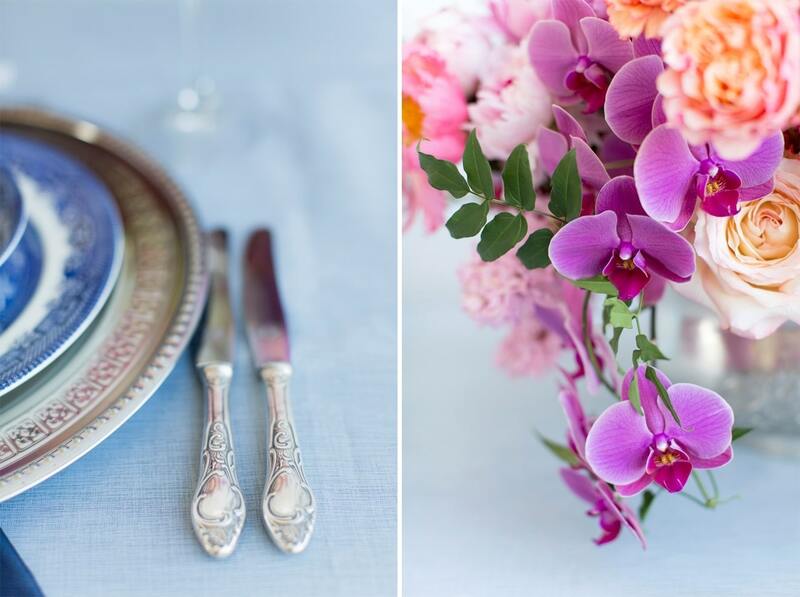 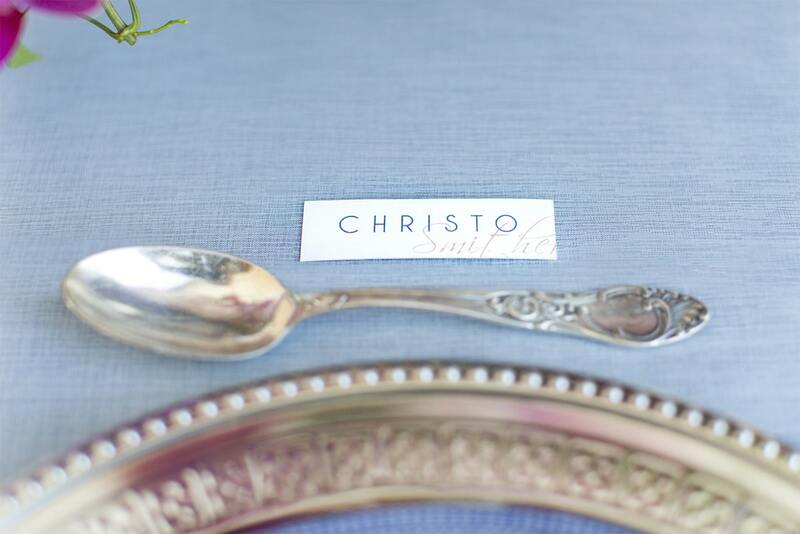 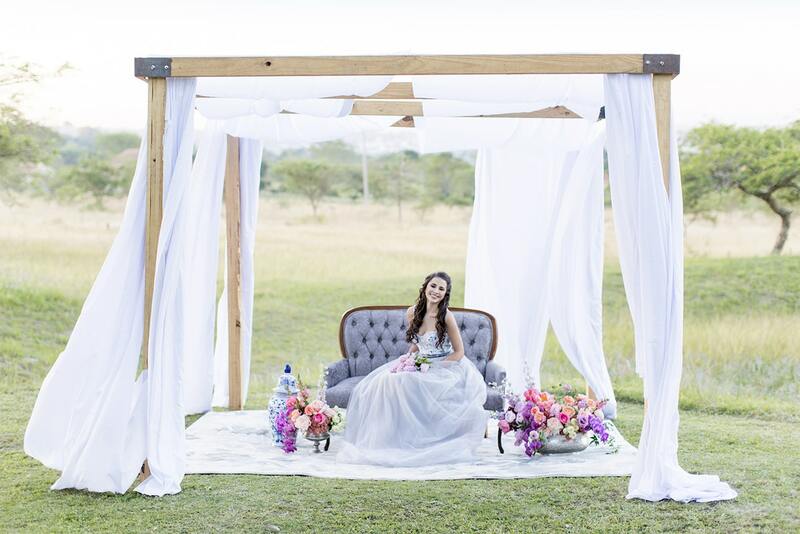 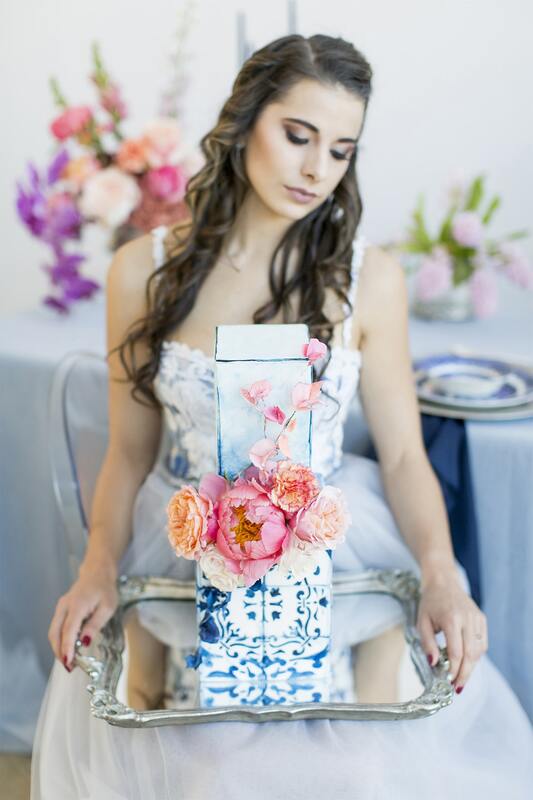 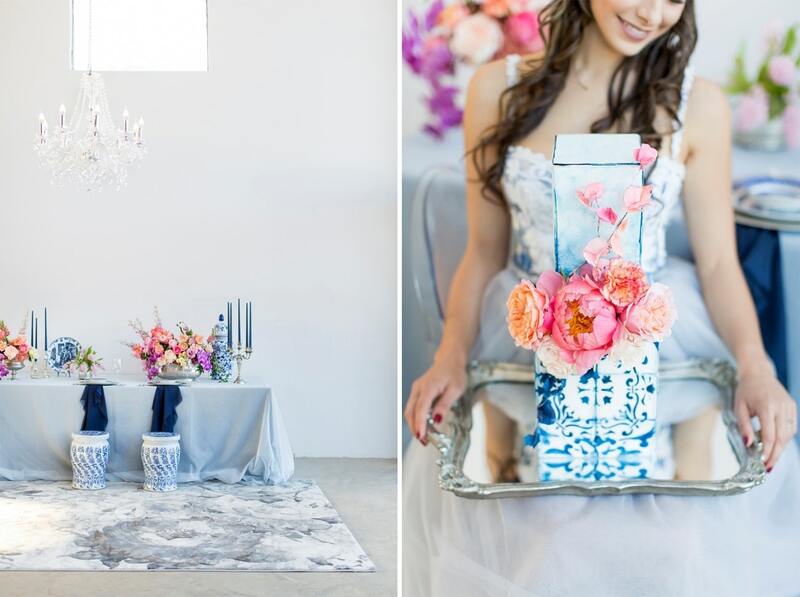 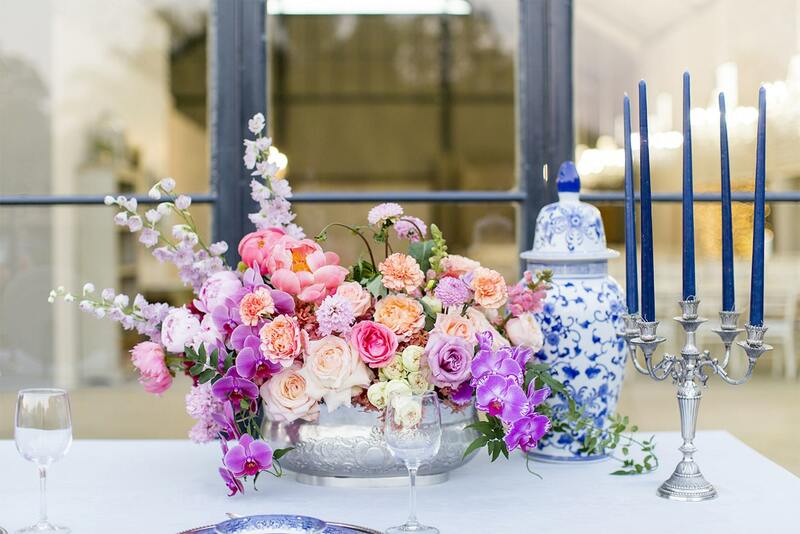 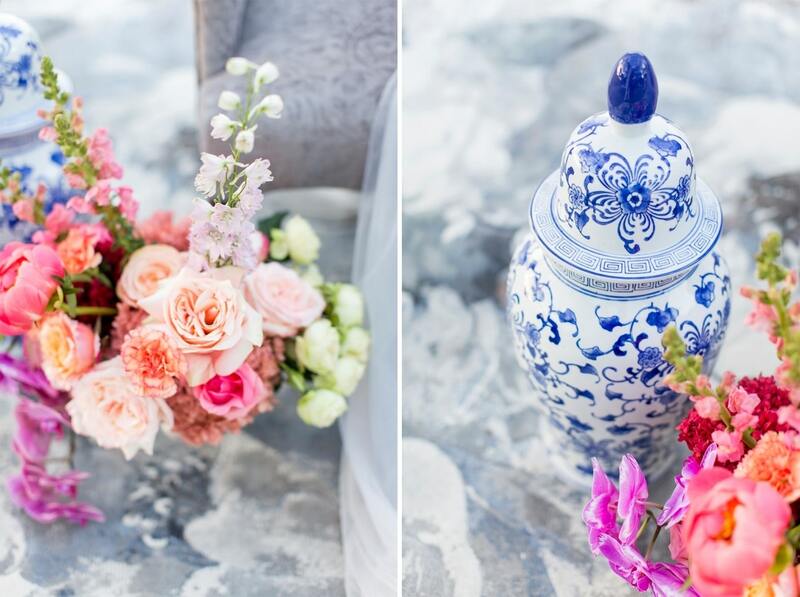 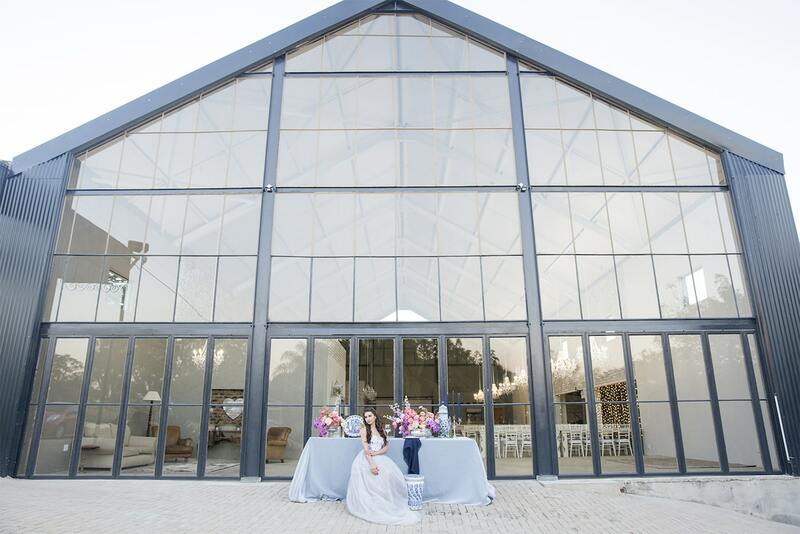 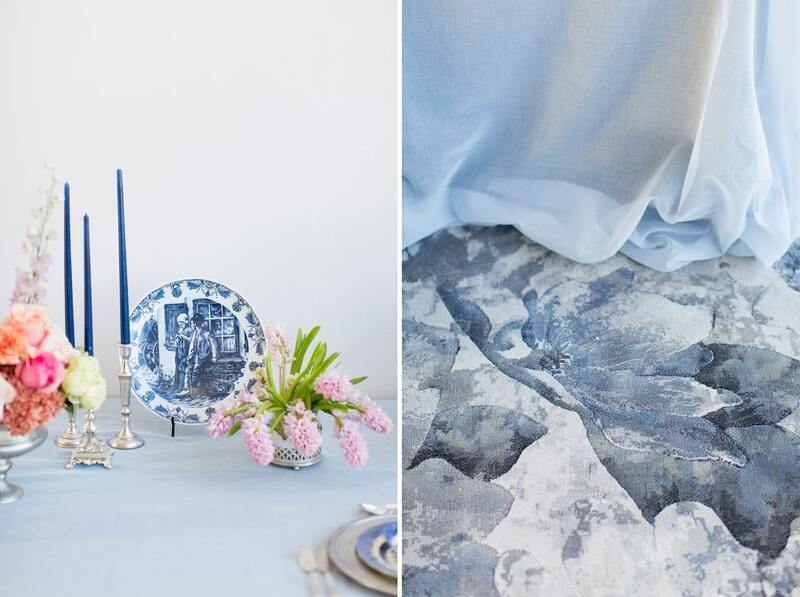 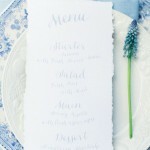 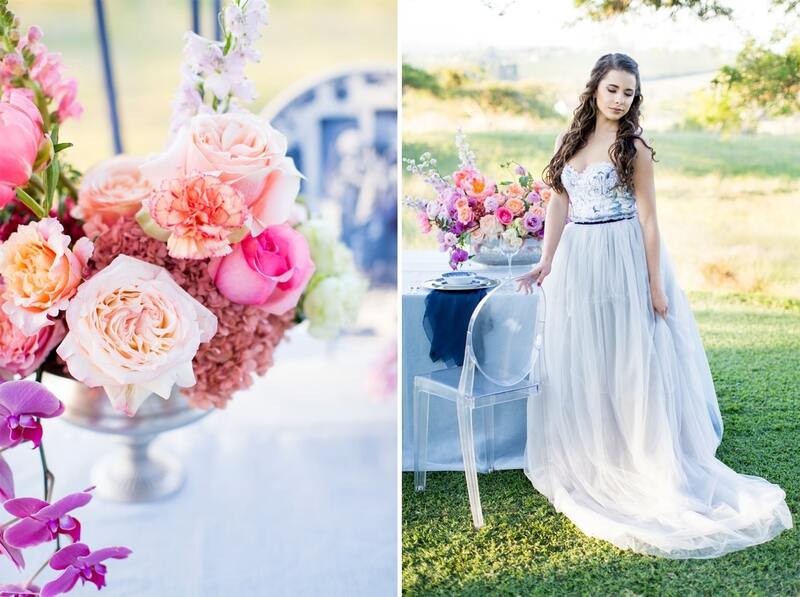 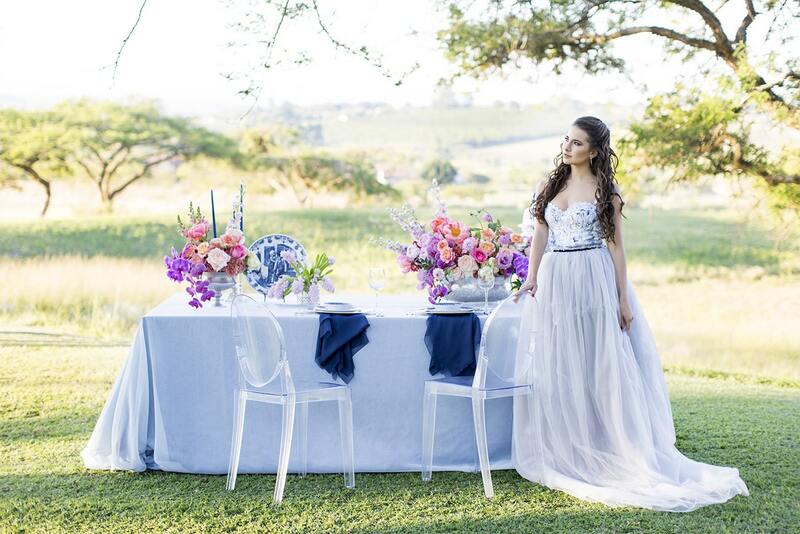 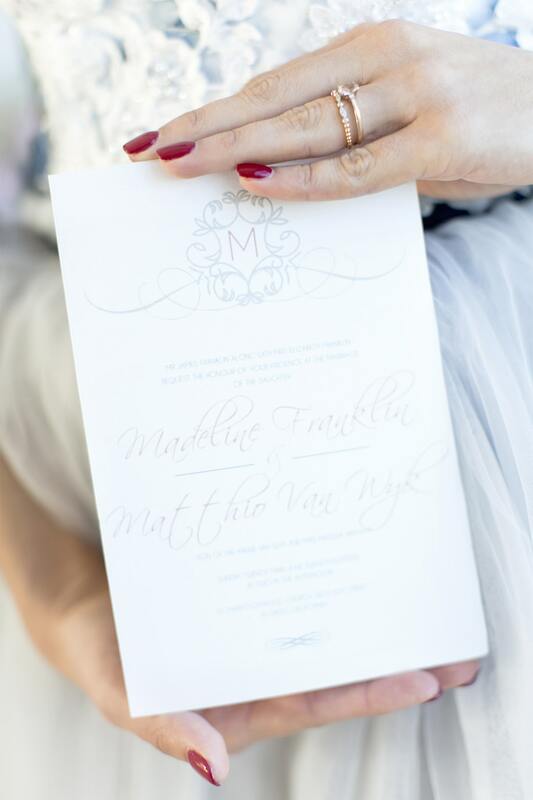 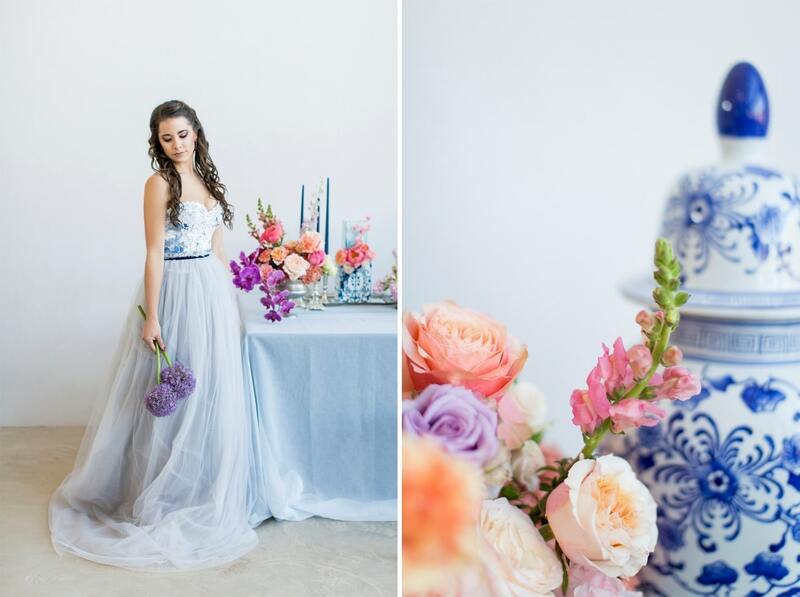 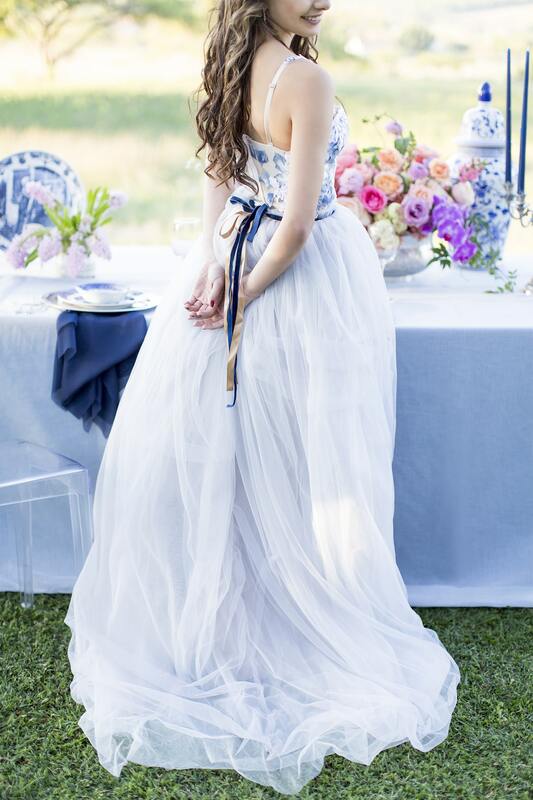 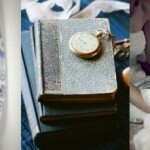 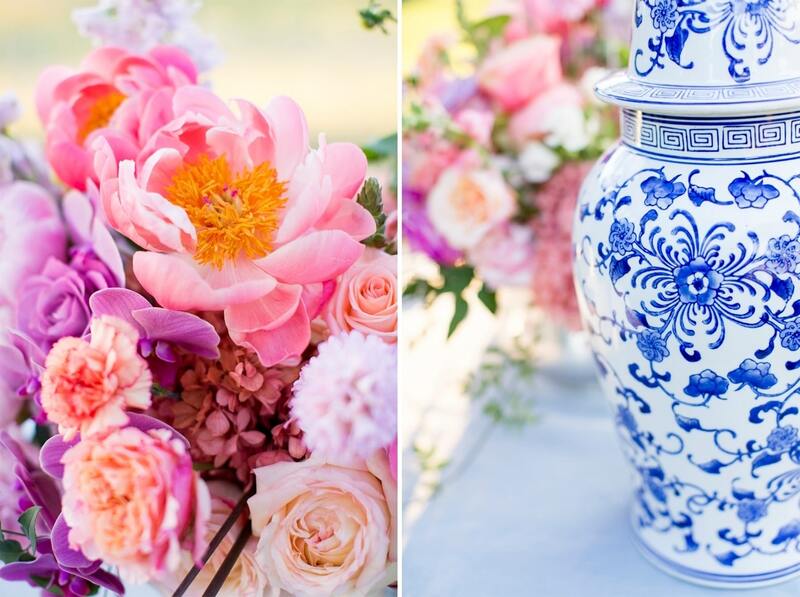 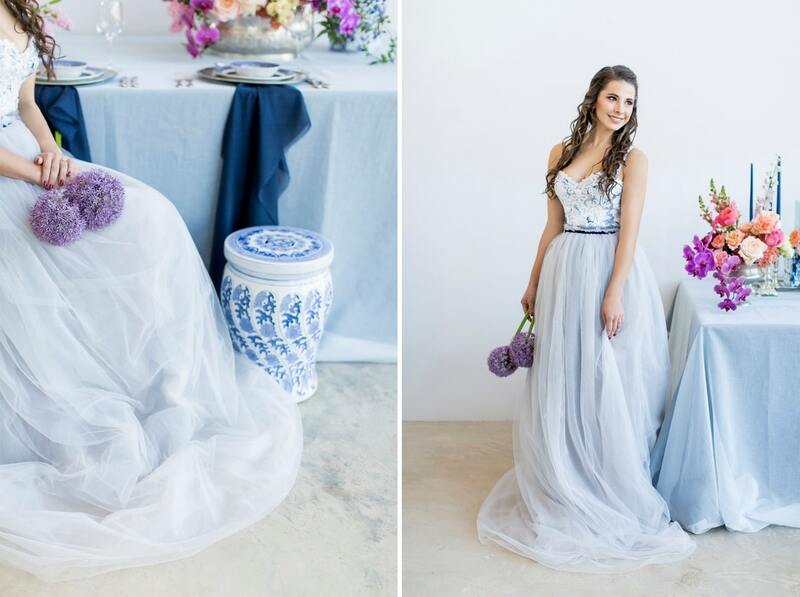 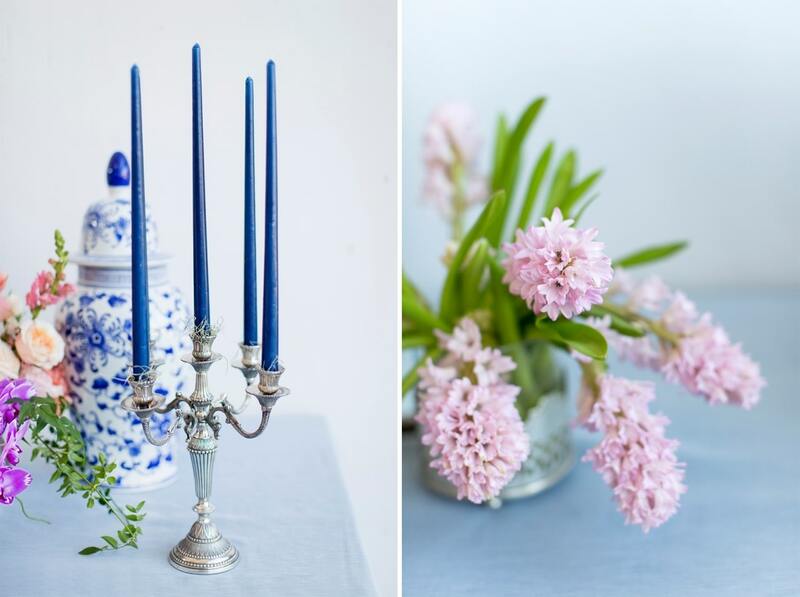 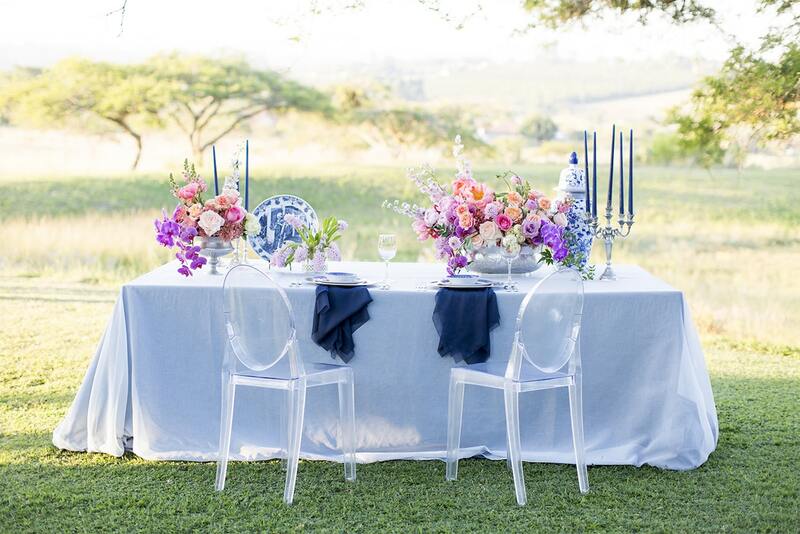 The colour scheme we used was Delft blue, antique silver and shades of blush. 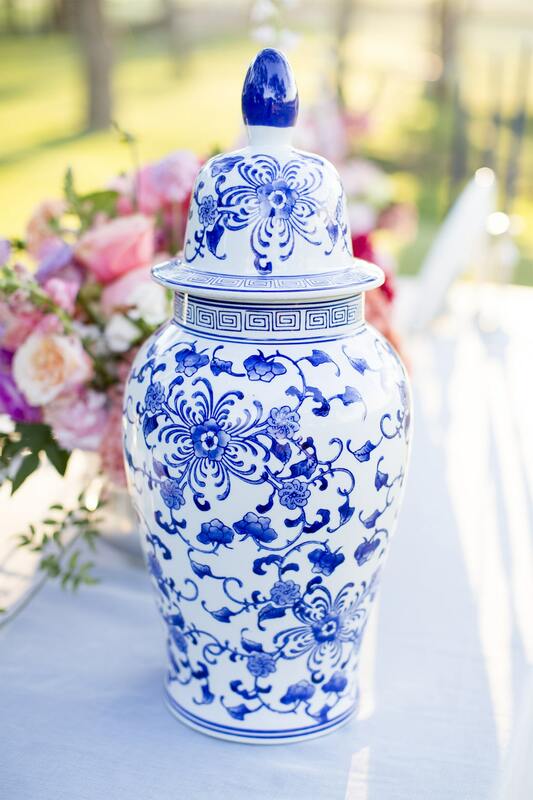 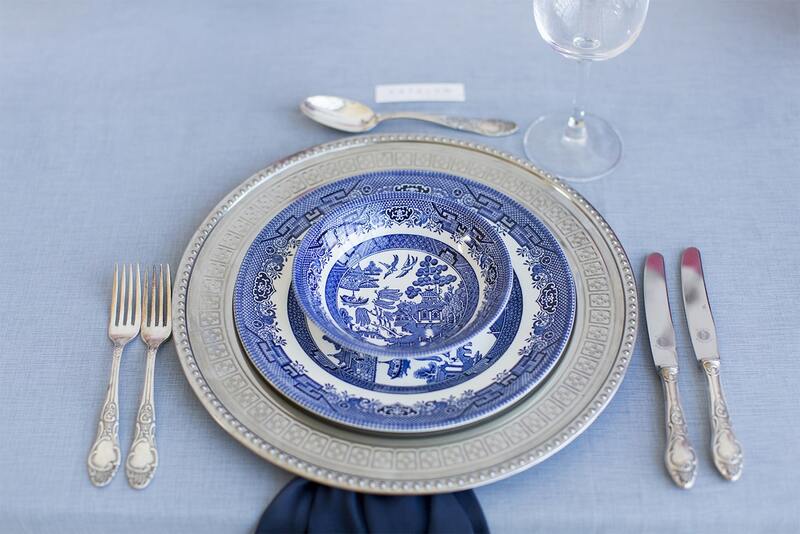 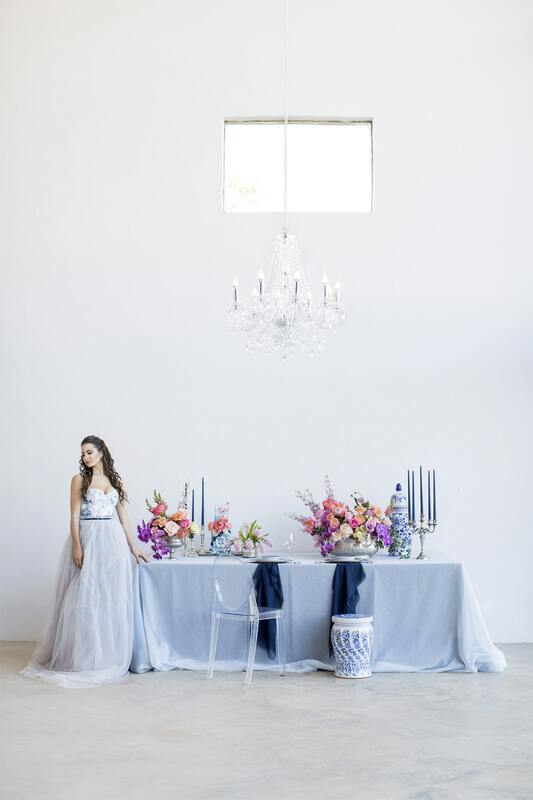 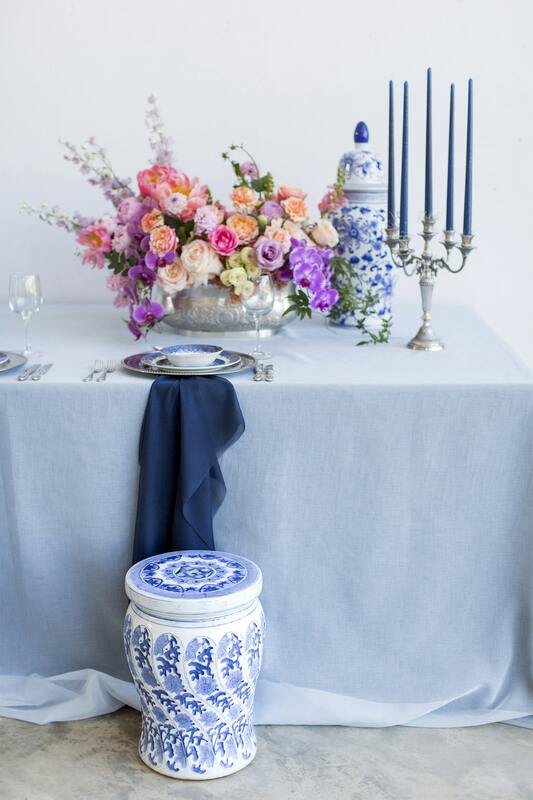 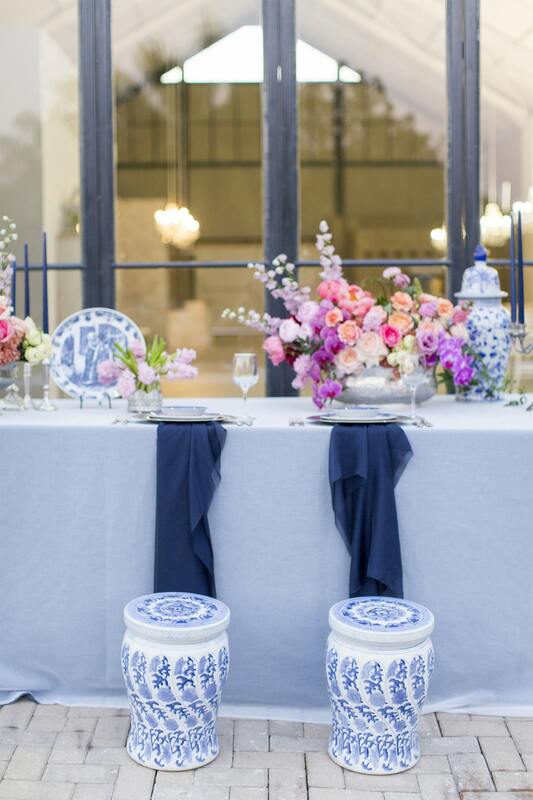 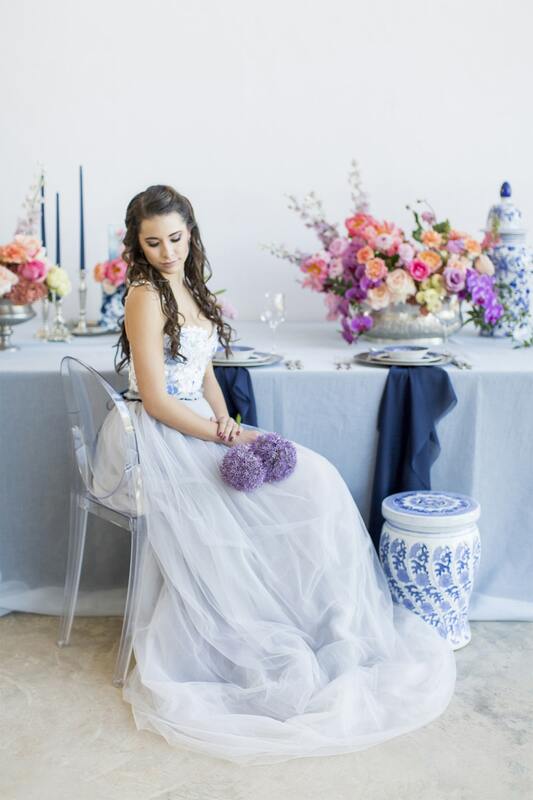 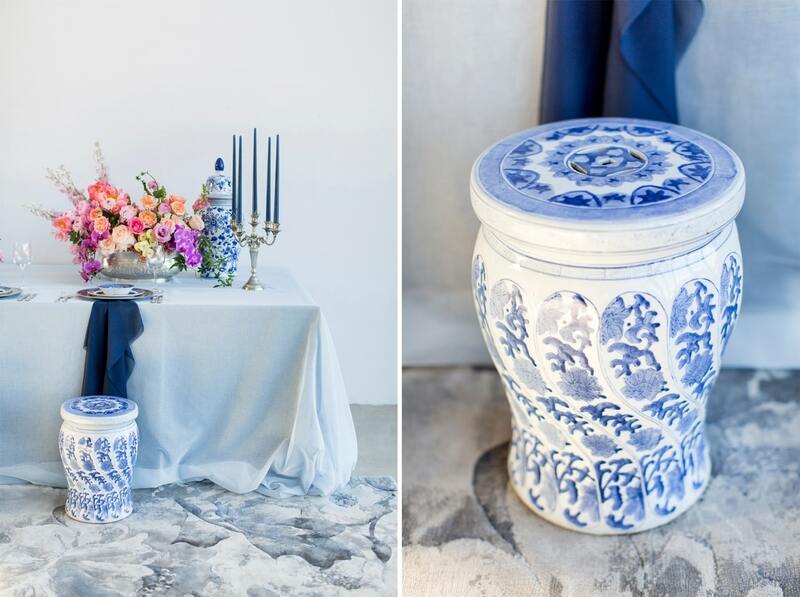 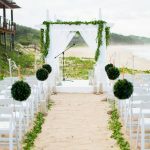 Key elements included: Nederland and Chinese Delft, Victorian silver cutlery, brushed silver, navy blue candles and napkins, a sky blue tablecloth, Delft stools mixed with ghost chairs, and a floral carpet. 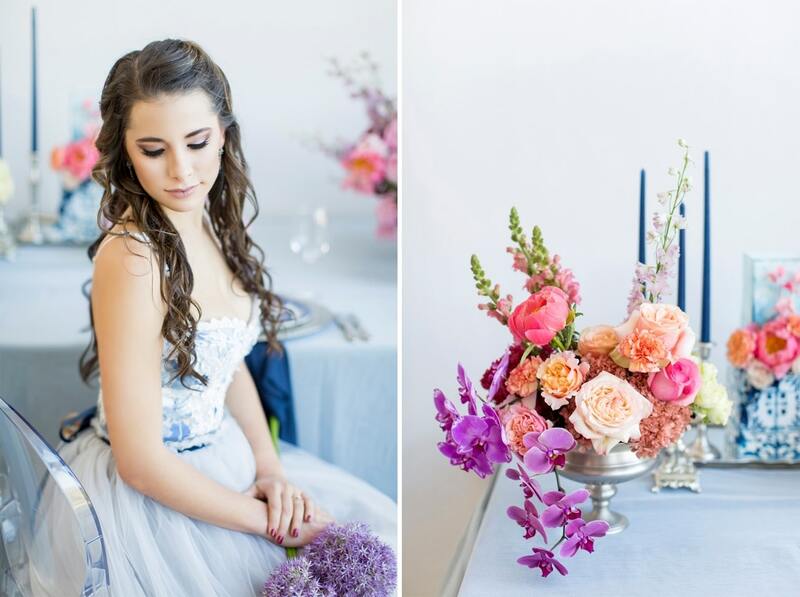 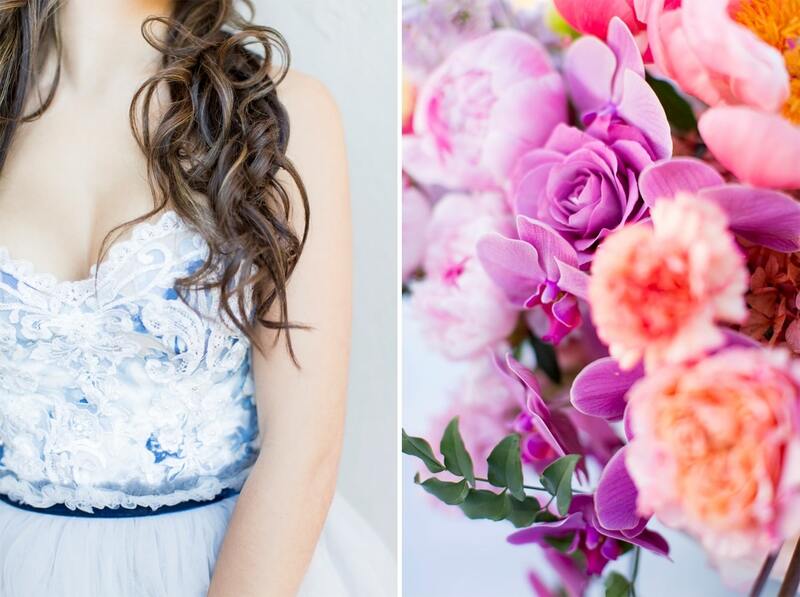 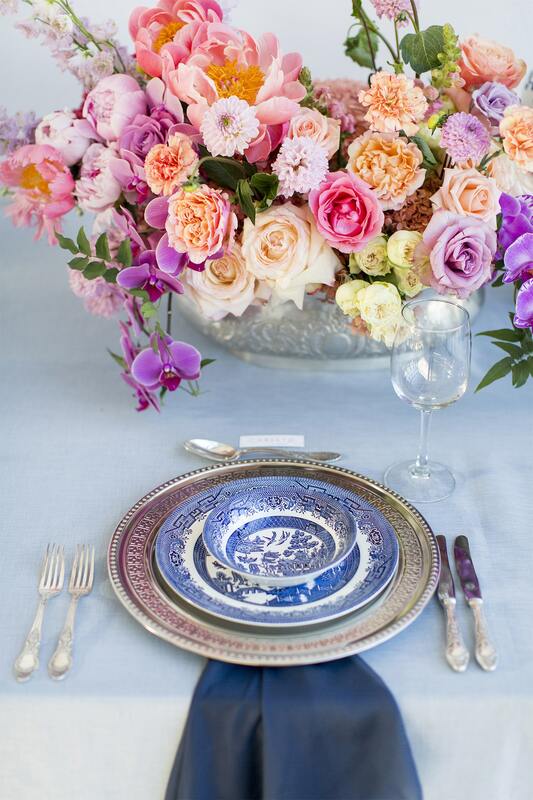 We used flowers like orchids, peonies, hydrangea, and roses. 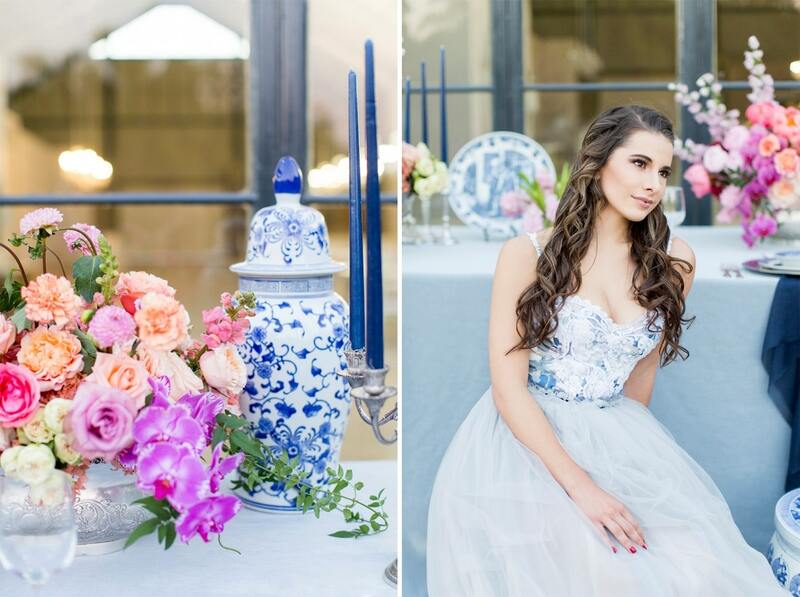 The bodice of the dress, which was designed, made and hand-painted by Preez, was also Delft-inspired.